Digital Air Strike Named #1 Social Media Marketing Firm! Scottsdale, AZ – (January 26, 2016) Digital Air Strike™, the leading social media and digital engagement company, topped the list on Phoenix Business Journal’s annual Book of Lists for Social Media Marketing Firms. This is the second time the company was listed in the number one spot. It debuted at #1 in last year’s Book of Lists for Interactive Marketing Firms. Digital Air Strike was also recognized for having the most Twitter followers – – 34,918. 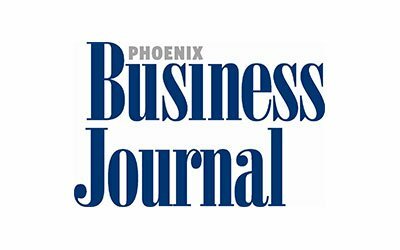 Phoenix Business Journal’s Book of Lists ranks thousands of the hottest companies each year and is considered an important resource highlighting the best and most successful businesses in the region. Other companies named in previous Book of Lists include GoDaddy, Yelp and Infusionsoft. Digital Air Strike leverages innovative solutions to engage with consumers on social networks on behalf of clients and respond to leads using patented digital response technology. The company was co-founded by Alexi Venneri in 2010 and quickly grew from six employees at the end of 2010 to today’s workforce of 165. The majority of the employees are based at the company’s Scottsdale headquarters, with others working at offices in Silicon Valley and Philadelphia. Digital Air Strike’s clients include auto manufacturers such as GM, Chrysler and Kia as well as luxury multi-family housing developments, law firms, real estate agents, mortgage brokers, day spas and other businesses.